A look back (first published 28 April 2015): this was such a memorable night out. 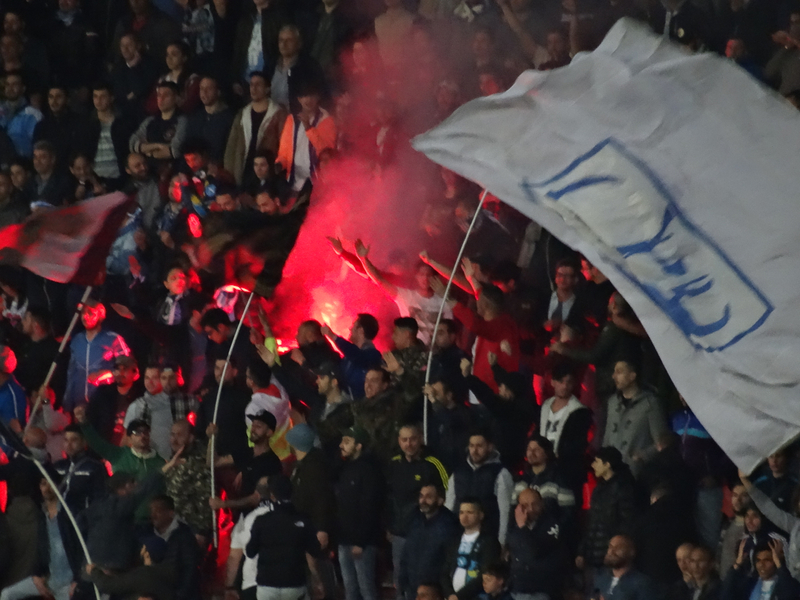 If you’re in Naples and you’ve never been to watch Napoli play in the Stadio San Paolo don’t hesitate, especially if there’s a big game. The city’s heart beats loudest here. 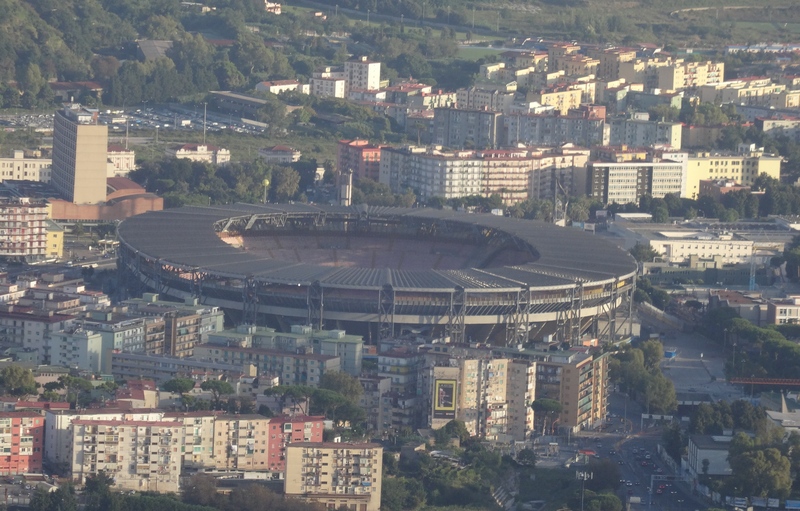 Last Thursday evening crowds and cars streamed in one direction through Naples – towards the Stadio San Paolo. Vfl Wolfsburg were in town and SCC Napoli had to hold its nerve.